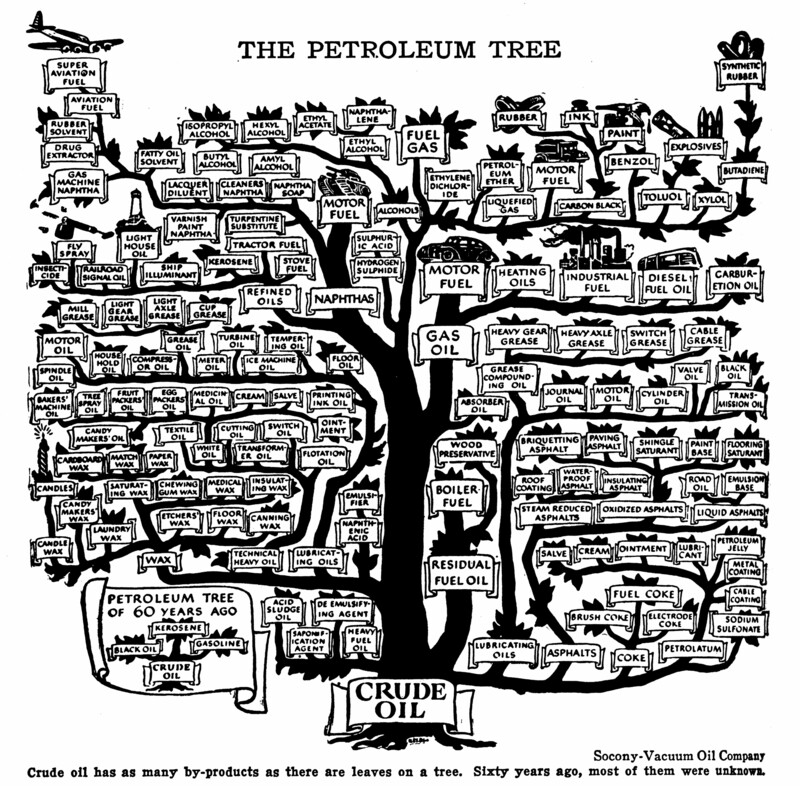 Here we have the Tree of Petroleum, the family structure of what comes from crude oil and ends up in your car, on your body, and in your food. It’s rather creepy to have a whole branch devoted to wax that goes into all the various parts of your body, but it doesn’t sound so bad when the ingredient label calls it paraffin. The tree includes a bunch of things that have most likely been replaced with less oil-dependent contents or eliminated by modern technology, such as fly spray, tree spray oil, and lighthouse oil. The most of it, however, should require reflection on everyone who demands that driving less will reduce dependency on oil. There’s a lot more to petroleum products, of which gasoline is but one component in a process that produces a wide variety of products we use today. The diagram is from the Book of Knowledge. Wondering what happened to the Socony-Vacuum Oil Company? They’re known by a much snappier name today.